CHIPINGE, Zimbabwe – Joyce Mtetwa will never forget the night her family lost everything, as her world crashed down around her. Joyce’s ordeal is a familiar one to the around 1,000 households in Ward 13 of Chipinge District, one of the areas hardest hit by what has been described as the worst natural disaster to strike southern Africa in the past two decades. More than 270,000 people in Zimbabwe have been affected, half of whom are children. Today, Joyce is lining up to receive supplies from a distribution point where GOAL Zimbabwe, a UNICEF implementing partner, is providing food and non-perishable supplies for around 500 households that have been impacted by the flooding. 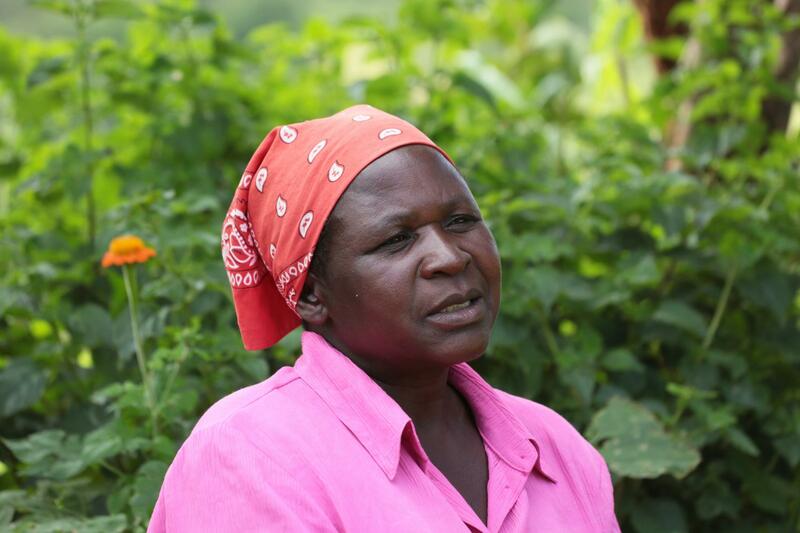 Joyce says she had to walk around 7 kilometres from her village to reach the distribution point in Samhutsa Village. Her route took her across the Tanganda River, which remains unusually high. 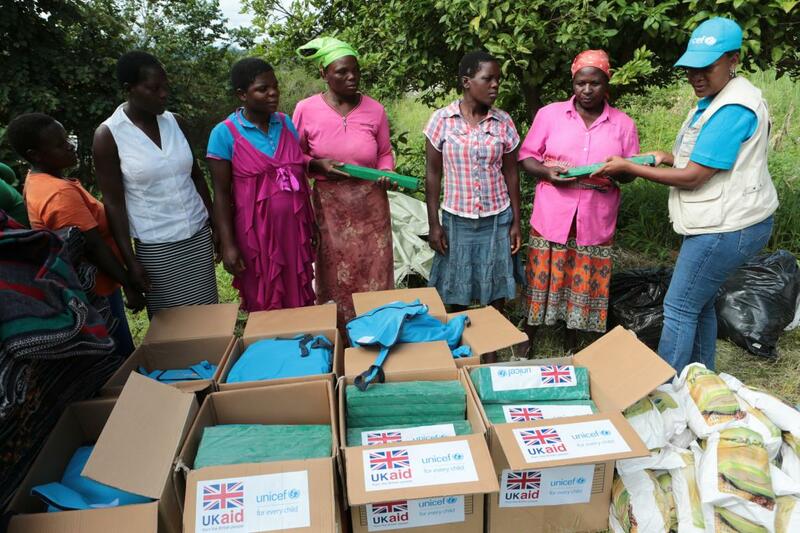 Joyce Mtetwa and other local villagers affected by Cyclone Idai receive hygiene kits and other supplies at a distribution point in Chipinge District, Zimbabwe. The rains that swelled the Tanganda River have also flooded boreholes and toilets, making clean water and sanitation even harder to find, and increasing the risk of an outbreak of diarrheal diseases. Even before the recent floods, less than half the people in Chipinge and nearby Chimanimani District had adequate sanitation access. With support from the UK government, UNICEF is providing hygiene kits, including buckets, jerry cans, soap and water purification tablets, to more than 5,000 households in the area to promote good sanitation and hygiene practices. UNICEF is also providing squatting trays and plastic sheets to help with the construction of latrines. But while such assistance is welcome, the future for families like Joyce’s – now sheltering in the kitchen hut adjacent to the remains of their home – is uncertain.